Get your students writing and thinking on their first day of school. 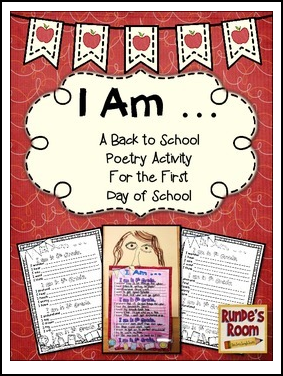 This file contains a visually appealing "I Am" poem template for students to fill in about their first day of school. There is one template for each of the grades from Kindergarten to grade 8. Students can color the template when they have finished writing to make a welcoming Back To School bulletin board.